A sneak peek at some of the stuff I’ve been up to recently.This giant beast is part of a project that I have become involved in. 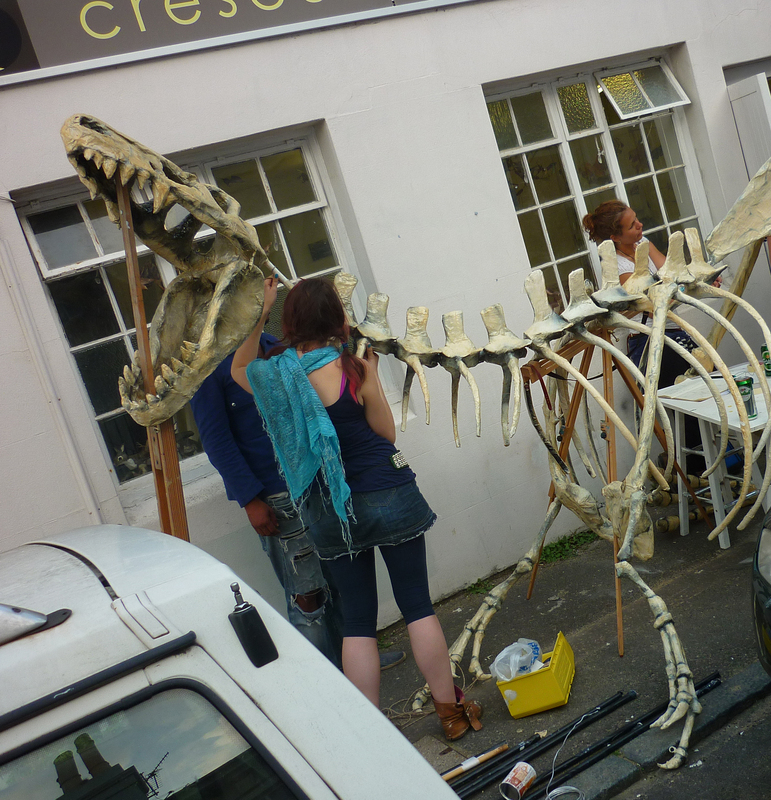 It is going to be showcased at the Secret Garden Party this year as part of an action camp called “Wonky Paleontology” The sculpture is made of papier mache, cloth and piping and is in pieces. The bones will be buried in to a sand pit and then dug up and put together to make a giant puppet. The project is the brain child of artists at the Crescent Studios in Brighton, Katherine Griffin, Elizabeth Jardine and Carinan Blijdenstein. If you are at SGP or Playgroup festival this year then you may just catch a glimpse of this creature.